Facebook’s painting app Quill is quite popular among casual artists of this generation. It’s an incredibly handy tool that lets you create stunning illustrations and sketches, and in fact was used by Oculus Studios to make a short film called Dear Angelica. Although the film was nominated for an Emmy, it lacked animations which would have truly brought the story to life. Well, that’s exactly what the new version of Quill brings to the table. It is indeed quite surprising since Facebook declared last year that the app wouldn’t receive any future updates. 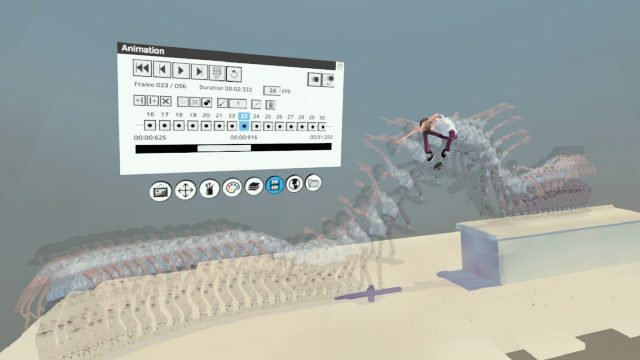 The new updates add the ability for artists to craft and edit frame-by-frame animations inside VR. In addition to that, the update will also allow you to copy and repose models to bring the creation to life. Essentially, the idea here is to let you draw and arrange discrete frames into animation sequences. The app also has new visual tools that’ll help you visualize previous frames and create new ones to bring a particular sequence to life. According to Facebook, this is the biggest update to the app till date and the in-VR animation tools bring major time savings compared to using a combination of VR and traditional animation software. Facebook is also planning to integrate Quill creations with Facebook Spaces. Once done, it will allow multiple people to enter the world in which these stories are set to explore them together.